Recently, National Geographic Magazine have been sharing some devastating photos of the plastic crisis our Planet Earth is currently experiencing. These photos are appalling. You can check them out here (National Geographic), here (National Geographic Instagram) and here (Bored Panda). I understand that plastic has a necessary place in our world, but this resource being abused. Every resource must be used responsibly and very few are. This is an age old problem that isn’t just about plastic. For example, in one of Bill Bryson’s books (favourite author alert! ), Bill tells us that pecan nut trees ran the risk of going extinct in America because it was easier for the first European settlers to cut down a tree to harvest the nuts, than it was to pick the nuts off the tree. Wow! Just wow! It is a rainy day. It is wet and cold and some of the puddles are getting so deep outside, I worry one of the dogs might fall in and not be able to get out! But it’s also the perfect weather for soup and one of my favourite soup recipes is this one for Thai Pumpkin Soup – or Thai Butternut Soup – whichever you have available. 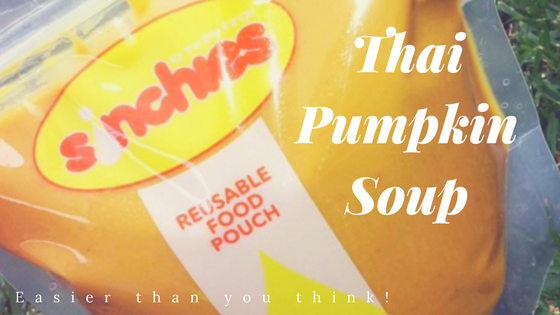 Of course, if you have any left over after the meal (a rare occurrence in our household), you can always freeze it in a 1 litre Sinchies pouch and save it for another rainy day. We promised you a Sinchies Voucher, and here it is finally! Use Voucher Code CleanEating at checkout and you will receive a 10% discount on your order! Don’t delay – this voucher is only valid for a week. Use your voucher code here. Feel free to share this code with your friends. It’s time for an exclusive Sinchies voucher and we don’t want you or your friends to miss out. If you have already signed up for our newsletter, you will be receiving a voucher within the next couple of weeks. If you have not yet signed up, now is the time, as we do not want you to miss out on this opportunity. Continue reading Sinchies Voucher Coming Soon! I haven’t posted any recipes lately so thought it was about time to do so. 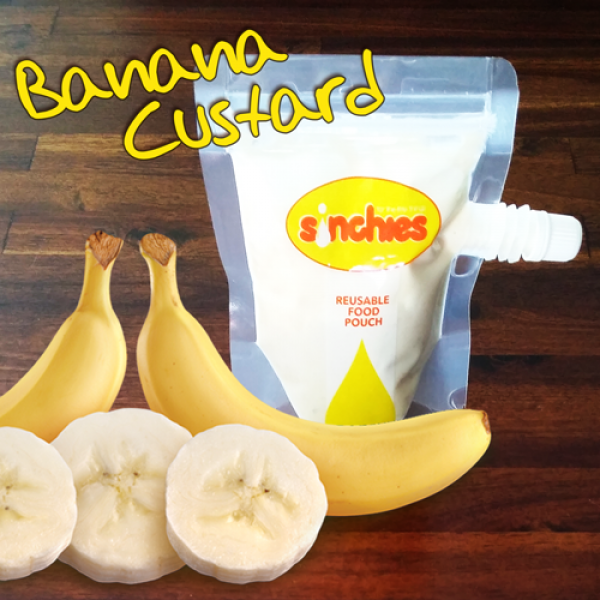 I love this easy banana custard recipe because it can be changed to suit your baby / toddler / child’s needs as well as your own preferences. It’s also really simple to make. It has no nasty additives or preservatives and can be made out of any milk, formula or even breast milk. How awesome is that? Iris House, based in the Northern suburbs of Cape Town, offer a care service for children with special needs. All their carers have completed training courses and arrive on the scene well equipped with a medical kit and appropriate toys to stimulate their charges. They help support over 350 families in the Cape Town area. 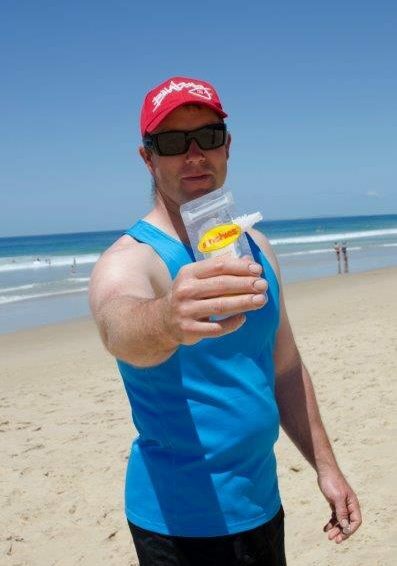 I recently conducted a survey on a South African Facebook group, and asked what people called those plastic packets filled with juice that you freeze. We all enjoyed eating them as children. After letting it run for a while, I tallied up the points by counting each reply as one point. If anyone reacted to that reply, I counted the engagement as a point too. Bunny licks got the majority vote. 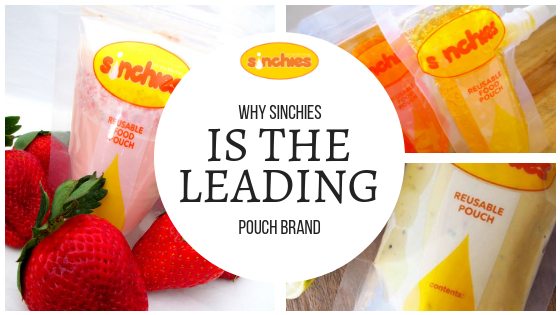 After a couple of years of great success, Sinchies launched their limited range of 150ml top spout reusable pouches with fun, modern designs. Of course, I couldn’t wait to get them to South Africa and share them with Sinchies fans on this side of the planet. Sinchies for Dads! Yes, You Heard Me; Sinchies for Men! 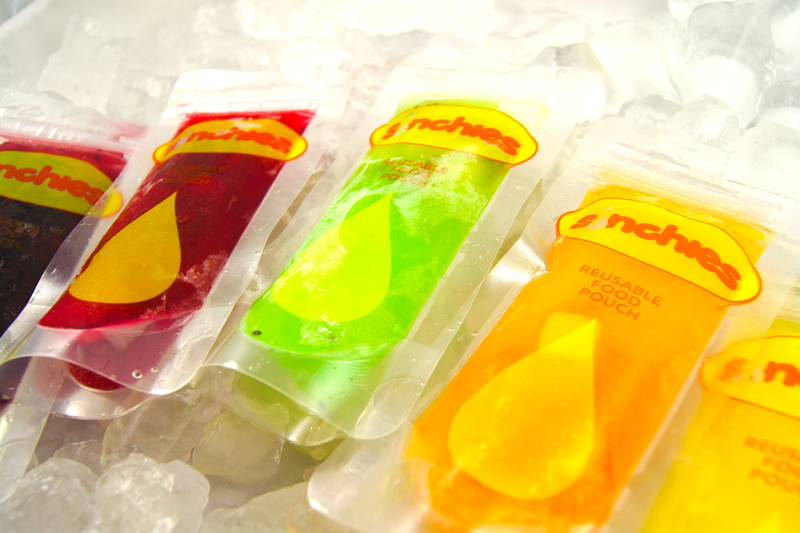 So you think that Sinchies are just for babies? No ways! They’re for everyone in the family including Dads! We thought we would share some ideas for Sinchies for Men in this post. Continue reading Sinchies for Dads! Yes, You Heard Me; Sinchies for Men!